My name is Gary Ransone and I am not your typical lawyer. I specialize in construction contract review/drafting services and dispute avoidance. When you get a large project – call me to help you put together the contract. The idea is that an “ounce of prevention” at the right point in time can help you to avoid or resolve some serious disputes and/or financial losses and whenever possible – litigation. I have worked in and around many parts of the construction business for nearly 30 years – first as a laborer, carpenter, project manager, Builder and General Contractor, and for the last twenty + years primarily as an attorney focused on Construction Law, builder of my own projects, project administration and related legal areas. This “in the trenches” construction experience is why I work in this area of the law. I have also worked as an arbitrator/mediator in numerous construction disputes, land use work (red tags) and provide that service if you should need it. I currently hold licenses in California as an attorney, general contractor and real estate broker. I have also been trained in the past as an American Arbitration Association arbitrator. I have written numerous articles on construction contracts and administration along with the Contractor’s Legal Kit, published by The Journal of Light Construction and spoke on these same topics at national construction conferences from California to the East Coast. Like you, I hate what happens to contractors and owners when they end up in court. Nobody wins (except the lawyers) and nobody can afford it (especially these days). It’s a trap and game that nobody needs. It shakes your confidence, drains your check book and kills your interest in this business. Do everything that you can to avoid the things that land you in court. Start with a good contract because that’s where problems often start. Over the years I’ve learned a lot about the kinds of problems that Contractors and owners face when trouble arise and when trying to put together contracts. More importantly, I’ve learned some ways to resolve or better still, PREVENT many of these problems from occurring in the first place. My approach to problems in the construction business is tempered by a strong dose of job site reality gained while working as a both General Contractor and an attorney. This is why an important part of my work is focused on PREVENTATIVE STEPS both owners and contractors can take to better organize and streamline the business basics (e.g. contracts, subcontracts, paperwork with the owner, etc…) in a way that minimizes agonizing and costly disputes and allows contractors and owners to have a successful relationship and avoid and/or quickly resolve disputes. I have had the opportunity to work with Gary a few times during my career as a contractor here in Santa Cruz. Gary wrote all the contracts for a large custom home I was working on as the project manager for the homeowner. The documents covered everything from bid packages to lien releases and the project, which lasted three years, was completed without any problems. I was asked to arbitrate a small case with Gary and another local construction attorney. I found Gary to be fair and reasonable and I have a great deal of respect for Gary from both a legal and a builder perspective. We too, still use his legal documents from the Contractor’s Legal Kit! As homeowners taking on an challenging gut-remodel project we learned a lot by working with Gary Ransone where he coached us through the contractor selection, negotiation, risk management and contract drafting. Gary has seen the good, bad and the ugly from both contractor’s and homeowner’s perspectives and is capable of arguing from either side fluently. Our intent was to select a contractor that had the highest potential to deliver a project to meet the Passivhaus standard, a first in the County of Santa Cruz, at the best value and minimize our risk. He advised us on taking steps to minimize risk and drafted a strong and fair contract. We recommend homeowners and contractors to work with Gary. Not only is he competent and responsive, he has a good sense of humor and clearly explains concepts and details to homeowners with no building trades experience. I recommend Gary Ransone . He’s my local go-to guy for legal construction advice. His “The Contractor’s Legal Kit” contains a wealth of information. Give him a call. I have worked with Gary on numerous occasions over the past 10 years and I appreciate his integrity, knowledge and direct approach. His goal, in our dealings, has always been to prepare and present a fair and equitable contract for both parties involved. He is thorough and concise and has always treated me with the utmost respect and honesty. I would highly recommend Gary to anyone who needs construction related legal services. As a subcontractor I’ve used Gary’s services to rewrite contracts that were not in my interest. It has always worried me when I get a contract from the General and it’s over an inch thick with no reference any where to my original proposal. Gary has always been fair and thorough in making sure I’m protected before I sign on the dotted line. I would recommend Gary to any contractor needing help with understanding the law. Dave Pettigrew / Owner Diamond D Co.
Gary Ransone has been a great help to our business. His publication “The Contractor’s Legal Kit”, is what we have based our costruction contracts on. In addition, he has helped us write contracts for unique projects and given us legal advice when we have needed it. It is so refreshing to talk to a lawyer who has such a great understanding of construction law AND methods of construction. Gary really “gets it” and is easy to talk with. He has become an important part of our business and I highly recommend him. I recommend Gary Ransone, Esq. to the building trades. I have worked on and off with Gary for about two decades here in the Santa Cruz area. Gary is a very knowledgeable and well seasoned construction attorney. I know a fair deal about construction disputes and I strongly recommend that any construction business law questions or problems that you have – you take to someone who specializes in it – like Gary Ransone, Esq. Gary is an excellent choice. Gary Ransone is a clear thinker helping to navigate the complex system of construction law. The Contractors Legal Kit is a comprehensive resource; I have used his contracts for the past 15 years and find them to be invaluable, proven over the test of time. A good contract protects both the contractor and the homeowner. Gary understands how to support a win/win relationship through contracts that actually communicate what is important for both parties. Over the years, I have consulted with Gary several times and he has been extremely informative and helpful. The construction industry is complex, especially for my business as a design build company. 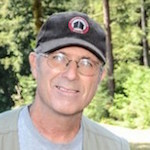 Gary has distilled his experience and knowledge and is an excellent resource to the Santa Cruz community. He is a big fish in a little pond, much to our benefit. I have worked with Gary Ransone several times over the past twenty years and have never been disappointed with the legal outcome. When the unexpected arises, as we all know it can, I put my trust, and faith in Gary knowing that he will apply his vast knowledge of Law, and General Contracting to work to get the very best results possible. I couldn’t ask for a better Friend, Attorney, or Construction Contract Advisor. V’s Demolition Inc. Schmitz Woodworks Inc.